You may need to unlock your iPhone before you’re able to use it on other networks. 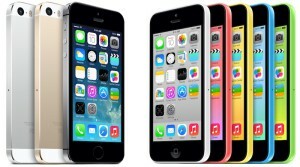 Find out how to unlock an iPhone from UK mobile networks. If your iPhone was purchased in the UK, there’s a good chance it’ll locked to your mobile network operator. Before you’re able to use a SIM card from a different mobile network (either in the UK or abroad), you may therefore first need to unlock your iPhone. 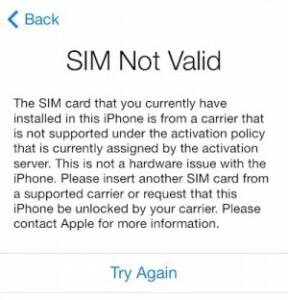 If you don’t unlock your iPhone before attempting to use it on another network, you’ll receive an error message on your phone stating “SIM Not Valid”. A major benefit of unlocking your iPhone is the ability to access cheaper tariffs in the UK. You can also use your iPhone abroad with a different SIM card whilst travelling, drastically reducing how much you pay for roaming. Finally, unlocking your iPhone will allow you to pass it on to others (e.g. a family member or for sale on websites like eBay). In this article, we’ll walk you through the process of unlocking an iPhone. We’ll show you to how to check whether your iPhone needs to be unlocked. We’ll also show you how to find your iPhone’s IMEI number and how to request an unlock from your network (including the costs and the timeframe for unlocking). We’ll also discuss SIM-free iPhones, some of which may be locked if you purchased it prior to July 2017. There are three key benefits to unlocking your iPhone. You’ll be able to access cheaper SIM-only tariffs here in the UK. Many people find they save at least £20/month when switching to a SIM-only deal. 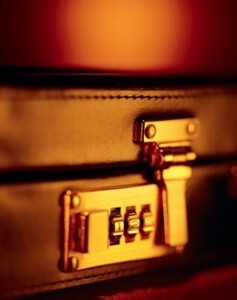 You can save money when travelling abroad. Instead of roaming on your normal UK SIM card, you can use a different SIM card when travelling abroad for substantially lower rates. Easier second-hand usage & higher resale value. If you no longer require your old iPhone, unlocking it makes it easier for you to use it elsewhere (e.g. you could give your iPhone to a family member or you could sell it online). After completing the minimum term of your contract, you can normally save substantial amounts of money by switching to a SIM-only deal. A SIM-only deal is able to provide you with a generous allowance of minutes, texts and data at a lower price than your current iPhone contract. Many people find they save £20 to £30 per month, which adds up to a saving of several hundred pounds per year. You’ll need to unlock your iPhone before changing networks on a SIM-only deal. * A £5/month discount is available on BT Mobile for customers who live in a BT Broadband household. When you choose a SIM-only deal, you’ll have the option of either a new 12-month commitment, or a 30-day rolling contract for added flexibility. 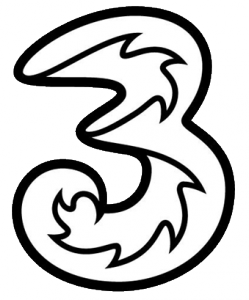 For more information, see our full overview of SIM-only deals in the UK. 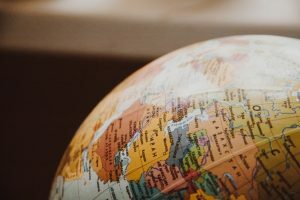 If you’re travelling outside Europe using your normal UK SIM card, you can very quickly run up a large international roaming bill (often in the region of £1.50/minute, 50p/text and £6/MB). By using a different SIM card when you’re abroad in other countries, you can normally save substantial amounts of money using your mobile phone abroad. You can either pick up a SIM card in the country you’re visiting or you can order a specialist SIM like Three Pay As You Go with Feel At Home. Travelling to Europe, the USA, Australia or one of 71 destinations? If you’re travelling to one of 71 destinations including the USA and Australia, one of the best way to use your smartphone abroad is by taking advantage of Three’s Feel At Home offer. With Feel At Home, there’s no extra charge for using your smartphone abroad in 71 destinations. Better still, you can benefit from the offer regardless of which mobile network you normally use in the UK. Just order one of Three’s Pay As You Go SIM cards with an All-in-One bundle and you can benefit from the offer in any unlocked iPhone. A £10 top-up will give you 1GB of data along with 3,000 minutes and 3,000 texts. You can upgrade this to 5GB of data for a £15 top-up or 12GB of data for a £20 top-up. With an “All in One” Pay As You Go bundle, the inclusive minutes, texts and internet can be used abroad in Feel At Home countries at no additional charge. By unlocking your iPhone, you’ll also gain benefits in terms of easier second-hand usage. If you’re passing your old iPhone onto friends or family members, unlocking it will allow them to use the iPhone on their network of choice. They can also benefit from a low-cost SIM-only deal, with full flexibility over which mobile network they use. If you’re selling your old iPhone (e.g. on eBay or Gumtree), unlocking it first may boost the resale value of your iPhone. An unlocked iPhone will also have a much larger pool of buyers, potentially making it a lot faster for you to sell the device. In the UK, it’s perfectly legal to unlock your iPhone and to use it on a different mobile network from which you purchased it. The original reason why your iPhone may have been locked is that your mobile network may have subsidised the upfront cost of providing it (the original retail price of an unlocked iPhone can be up to £1,000). The phone locking mechanism provides some security for the mobile network: it essentially stops you from taking a subsidised iPhone and immediately using it on another network. It also helps to reduce fraud (e.g. when stolen bank details are used to purchase an iPhone on contract, which is then exported and sold abroad for a profit). All UK mobile networks will happily unlock your iPhone, but they may have some eligibility criteria, and they will sometimes also charge a small fee for the service. Unlocking your iPhone doesn’t affect its warranty nor does it change the way your iPhone works. There are a number of online scams and unscrupulous websites relating to iPhone unlocking. The only way you can legitimately unlock an iPhone is to do it officially via your mobile network operator. Third-party websites sometimes claim to offer an iPhone unlocking service. In reality, however, they might just be charging you a hefty service fee for filling out the unlocking forms on your behalf (which are available for free on your mobile network’s website). Unlocking your iPhone using a jailbreak will only work on very old models of the iPhone (e.g. 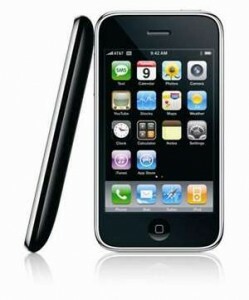 an iPhone 3GS). Unlike other brands of smartphone, it isn’t possible for a third-party to generate “iPhone unlocking codes”. This is because no such code exists for the iPhone. Instead, all iPhones are unlocked through a centralised database run by Apple. This database holds the “unlocking” status of every iPhone, and only your mobile network is authorised to request an update to this database. If you do decide to use a third-party service, be extremely aware of their online reviews (for instance, search on Google for the name of the company followed by “review” or “scam”). If possible, also have an in-depth read of the Trustpilot reviews and verify that the site doesn’t appear on this list of known iPhone unlocking scams. On some very old models of the iPhone (an iPhone 3GS or iPhone 4 running iOS 6 or earlier), it’s sometimes possible to temporarily unlock your iPhone through a method known as jailbreaking. On newer devices produced in the last 7-8 years, it’s no longer possible to unlock your iPhone via a jailbreak. Even if you’re able to temporarily unlock your iPhone through a jailbreak, we strongly recommend against this as it isn’t a permanent solution (your iPhone will become locked once when you next update the software on it). Check whether your iPhone has already been unlocked. 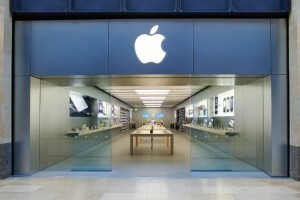 Occasionally, your iPhone will already be unlocked at the point of purchase. It’s always worth double-checking to make sure an unlock is actually required. Find out your iPhone’s IMEI number. The IMEI number is a 15-digit code which uniquely identifies your iPhone. You’ll need to have your iPhone’s IMEI number to hand before you’re able to request an unlock from your network. Contact your mobile network and request an unlock. You’ll need to request an unlock through your mobile network’s website. The instructions and cost for doing this will depend on your network (see the unlocking instructions for each UK network here). Wait up to one week for the unlock to be processed. It takes approximately one week for iPhone unlocking requests to be processed. This is because your mobile network needs to get in touch with Apple before the iPhone can be unlocked. Enjoy using your new mobile network & SIM card. After approximately one week, you should receive a message saying your iPhone has been unlocked. You’ll now be able to use the iPhone on any compatible network – both when you’re at home and when you’re abroad. In the rest of this article, we’ll discuss each of the five steps in order. Your iPhone shows the name of the new network in the top-left hand corner. If, after inserting a new SIM card from a different mobile network, your iPhone shows the name of that network in the top-left hand corner, your iPhone has successfully accepted that SIM card. Providing the SIM card you used was from a different mobile network, it suggests your iPhone is already unlocked. It therefore won’t be necessary to go through the rest of the unlocking process. If you’re seeing the name of your new mobile network here, it suggests your iPhone is already unlocked. You receive an error saying “SIM Not Valid”. If your iPhone is locked to a network, you’ll receive a “SIM Not Valid” error message when inserting a SIM card from another network. 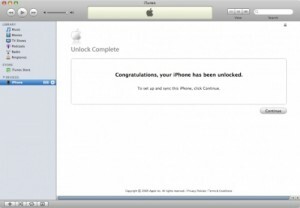 You’ll need to go on and complete the rest of the unlocking process before you can use the iPhone on other networks. If you’re seeing the “SIM Not Valid” error message, you’ll need to go through the rest of the unlocking process. 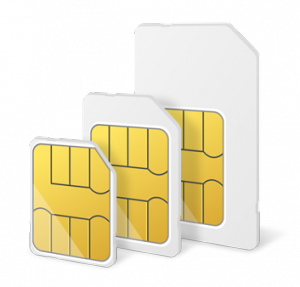 For more information, please see our in-depth article comparing the three different sizes of SIM card. As part of the iPhone unlocking process, your mobile network will ask you to provide the IMEI number of your iPhone. An IMEI is a 15-digit serial number which uniquely identifies your iPhone (there will never be two devices with the same IMEI number). You’ll need to provide the correct IMEI so your network is able to unlock the right handset. Get the IMEI from your iPhone ‘Settings’ menu. On your iPhone, go to Settings > General > About. The IMEI number will be listed as one of the menu items. You can tap and hold the IMEI if you’d like to copy the IMEI number to your iPhone’s clipboard. Get the IMEI from the iPhone Dialler. Go to your iPhone’s dialler keypad (just as if you’re about to make a phone call). Instead of dialling a number, enter *#06# (star hash zero six hash) and your iPhone’s IMEI number should appear on the screen. Read the IMEI from your iPhone’s SIM card tray (excludes iPhone 5, iPhone 6 & iPhone SE). On most models of the iPhone, your IMEI number will be printed on the removable SIM card tray. You’ll need a paperclip to eject the tray (see Apple’s website for more information). Read the IMEI from the back of your handset (iPhone 5, iPhone 6 & iPhone SE only). On the iPhone 5, iPhone 6 and iPhone SE family devices, the IMEI number is engraved on the back of your handset. Get the IMEI through iTunes (PC/Mac connection required). Connect your iPhone to a computer and open iTunes. Locate your device and click on the Summary tab. If you now click on where your phone number is displayed, you’ll also be shown your IMEI number. Make a careful note of your iPhone’s IMEI number (it should be 15 digits long). Make sure you provide the correct IMEI number when unlocking your handset – otherwise you could be unlocking someone else’s device! Pay Monthly. If you’re a Pay Monthly customer on EE, Orange or T-Mobile, you’ll qualify for an unlock of your iPhone once you’ve had it for at least six months. If you’ve had your device for between 6 and 18 months, you’ll be charged £8.99 on your next bill for the unlock. If you’ve had your device for more than 18 months, EE will automatically unlock your iPhone for you (this is only if your iPhone was purchased after the 1st September 2015). There is no charge for this. If you’re out of contract, EE will unlock your iPhone free of charge upon request. EE is fairly strict in that they’ll only unlock your iPhone if they have a record of having provided the handset to you (either from when you started your contract or from when you upgraded your plan). Replacement devices can also be unlocked but you’ll need to provide proof of exchange. You can request your unlock through a form on EE’s website. They aim to process the majority of unlocking requests within 72 hours. Pay As You Go. 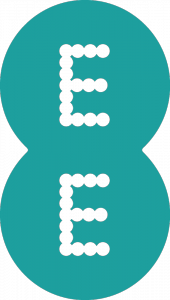 Customers on EE Pay As You Go can unlock their iPhone for free, providing it was purchased directly by them from EE. All other customers will be charged a £8.99 unlocking fee, which is taken from your Pay As You Go. If you need to pay for an unlock, you should make sure there’s enough credit remaining on your account. It can take up to 72 hours for the unlock to be processed once you’ve filled out the form. If you don’t currently have an EE Pay As You Go SIM card, you can order a free one for the purposes of unlocking. There’s a minimum top-up of £10 on your new SIM card (£8.99 will go towards the cost of unlocking your iPhone). When filling out the form on EE’s website, you should use the phone number of your newly ordered Pay As You Go SIM card. 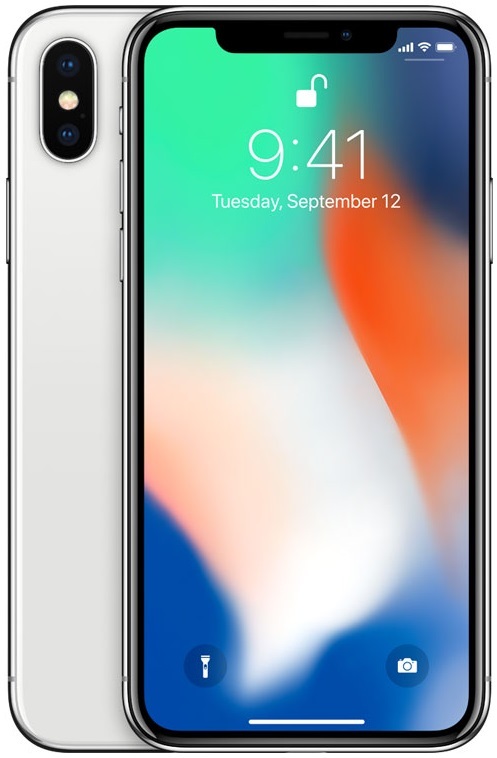 Customers who have bought their iPhone directly from giffgaff’s website (either with a one-off lump sum payment or with a monthly repayment plan) will not need to unlock their iPhone. This is because giffgaff doesn’t lock any of the handsets they sell. If you bought your iPhone from certain third-party retailers before July 2017, you may have found that your iPhone became locked automatically to the O2 network. If this has happened to your device, you’ll need to unlock the handset from O2 (follow the instructions below). Pay Monthly. Most iPhones can be unlocked for free at any time during your contract. However, you’ll still need to honour the minimum term of your contract (you aren’t able to cancel your contract early). 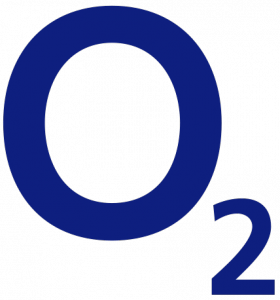 With some newer devices like the iPhone 8 or iPhone X, you may need to pay off your Device Plan before O2 will unlock your iPhone. It can take up to 72 hours to unlock an iPhone from O2. To begin the unlocking process, fill out the form on O2’s website. Pay As You Go. Customers on O2 Pay As You Go will need to have used their iPhone for at least 12 months before requesting an unlock. Once you’ve completed your twelve months on O2, it’ll cost £15 to unlock your iPhone. This is deducted from your Pay As You Go balance so you should make sure you have enough credit remaining before requesting an unlock on O2’s website. Note: If you’re joining giffgaff, it’s possible to use an O2-locked iPhone without having to unlock it first. For customers on O2 Pay Monthly, we’d still recommend unlocking your iPhone (as it’s typically free). However, for O2 Pay As You Go customers, you can save £15 by foregoing the unlock. To join giffgaff, you can order a free SIM card here. Pay Monthly. 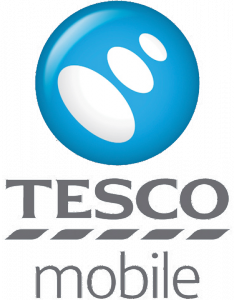 Tesco Mobile can unlock your iPhone for free at any time during your contract. To request an unlock, call the Tesco Mobile customer care line on 0345 301 4455 (or 4455 if you’re calling from your Tesco Mobile handset). It normally takes about 7 working days for your iPhone to be unlocked, but this can take up to 20 days in certain situations. Pay As You Go. On Tesco Mobile Pay As You Go, there’s a £10 charge to unlock your iPhone if you’ve had it for less than 12 months. After the first 12 months, it’s free to unlock your iPhone at any time. To request an unlock, call the Tesco Mobile customer services on 0345 301 4455 (or 4455 if you’re calling from your Tesco Mobile handset). Pay Monthly & Pay As You Go. 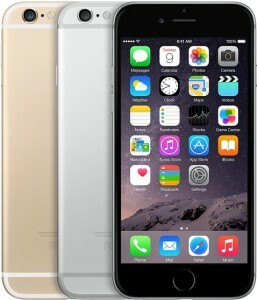 Since January 2014, Three has sold all of their iPhones already unlocked for use on any network. It therefore shouldn’t be necessary to unlock your iPhone from Three. If your iPhone was purchased before January 2014, it could still remain locked to the Three network. If your iPhone remains locked to the Three network, you can request an unlock for free by filling out this form on Three’s website. There’s no charge for unlocking your iPhone but you’ll need to have an active customer account. If you don’t have one, the easiest way to get one is by ordering a Pay As You Go SIM card via their website. It can take up to 7 days to unlock your iPhone from Three. Pay Monthly & Pay As You Go. On Virgin Mobile, it normally costs £15.32 to unlock your iPhone for use on other networks (the unlocking fee applicable to your tariff can be found in the Pay Monthly and Pay As You Go call charge tables). 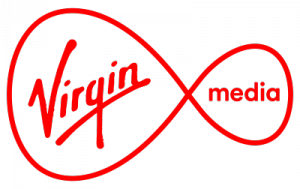 To request an unlock, call Virgin customer services on 789 (calls are free from your Virgin Mobile handset). Pay Monthly. For Vodafone Pay Monthly customers, it’s free to unlock an iPhone once you’ve paid at least three months of bills. The unlocking process should take no more than 10 days. You can make an unlocking request through Vodafone’s online form. Pay As You Go. It’s free to unlock your iPhone on Vodafone Pay As You Go as long as you’ve been using your Vodafone SIM card for at least 30 days. You can request a free unlock through Vodafone’s online form. 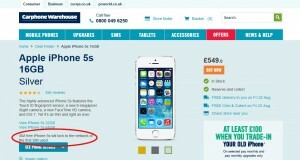 A SIM-free iPhone from the Carphone Warehouse will automatically lock itself to the first network used. If your iPhone was originally purchased before July 2017 from a third-party retailer like the Carphone Warehouse, it may have locked itself to the first mobile network you used on the iPhone. This may have been the case even when your iPhone was sold on a “SIM-free” basis. To unlock a SIM-free iPhone, you should contact the mobile network to whom your iPhone has become locked to. For more information, see our full guide on unlocking a SIM-free iPhone. If you purchased a SIM-free iPhone directly from Apple or from other third-party retailers, it’ll be permanently unlocked for use on any network. There’s no need to contact your mobile network to unlock it again. There’s no such thing as an “iPhone unlocking code”: your iPhone must be unlocked through an update to Apple’s centralised database. Once you’ve informed your mobile network that you want to unlock your iPhone and once you’ve gone through the necessary processes and paid the relevant fees, your mobile network will make a request to Apple to unlock your handset. Unlike other brands of smartphone, the iPhone isn’t locked through a “network unlocking code”. Instead, the locking status of every iPhone (also known as the “activation status”) is managed through a centralised database run by Apple. Before you’re able to use the iPhone on another mobile network, Apple will need to update the unlocking status of your iPhone in their central database. It can take a couple of days for Apple to do this, and you should normally receive an e-mail or text message to confirm once it’s done. Once you’ve received the e-mail or text message confirmation, you’ll need to swap out your existing SIM card for a new SIM card from a different mobile network (you can order a free SIM card here if you need one). You’ll see this message in iTunes once your iPhone has been unlocked. For more information, please see our full guide to mobile phone unlocking. If you’re looking to upgrade to a newer model of the iPhone, please see our full round-up of the best iPhone deals. We'd love to hear your thoughts and any questions you may have. So far, we've received 787 comments from readers. You can add your own comment here. I was reading about the different charges and deals available however I live in a part of Chester that has very poor 3G coverage on EE I had a Carphone Warehouse phone and own system couple of yrs ago. Thanks for your comment. For more information about coverage and to compare it across networks, please see the article here. Firstly I,m not very technical but I try!. I bought the I phone from my nephew. I,m assured its unlocked as he has been using PAYGO for about 18 months. I already have a Samsung phone and use giff gaff. I wanted a change hence the purchase and I also purchased PAYGO from ASDA, the I phone wont recognize the sim card,(which works fine as I have had it in the Samsung) Is the I phone locked?, or is the ASDA sim not compatible with it? Or am I at fault? Many thanks for your comment. It sounds to me like your handset is locked if it isn’t accepting a SIM card from other mobile networks. To make sure, you can follow the instructions above to see if your iPhone is locked (e.g. you could order a SIM card from a different mobile network and try it out in the handset). I really need help as my phone is without service for nearly two weeks now. I’ve been trying to sort the problem out with no luck. I bought my iPhone 7 last year from carphone warehouse, sim free. I started using it with my virgin mobile sim card. After two years i got fed up with virgin media and decided to change network, to three with transferring my number. The number transfer had been successful, the only issue that my phone doesn’t support the sim. I’ve tried to call virgin to unlock it for me, however they said as i bought the phone from a third party they can’t unlock it for me. I contacted apple, fuming, cause basically I can’t use my phone for calls (which i need for work). The apple customer service guy said that my phone is locked to EE. I have no idea what to do. Im wondering if getting a pay as you go EE sim card (as written above) and filling out the unlock request form could solve the problem? I’m really sorry to hear about the issues you’ve experienced with your iPhone. You’re right: the iPhone is probably locked to EE and it’s likely you’ll therefore need to ask them to unlock it for you. I’d recommend ordering a free SIM card from EE online here and attempting to progress your unlock through that.